Silson Contemporary is an exciting independent art gallery situated in Harrogate. Officially opened on 8th October 2016, we proudly exhibit the work of both emerging and established artists. Primarily with a strong emphasis on Yorkshire artists, we also show the work of talented individuals from further afield. Personally selected for quality and beauty, the work for sale encompasses original contemporary painting, printmaking, drawing, textiles, glass, ceramics, sculpture and jewellery. We also sell gift vouchers, an excellent present for those discerning art lovers. Together with a regularly changing display of work by gallery artists, we also hold seasonal exhibitions each year, where we introduce the work of carefully selected invited artists. Within 5 minutes walking distance of the independent and vibrant businesses on Cold Bath Road, and only 20 minutes from Harrogate town centre, Silson Contemporary comprises 2 dedicated gallery spaces within a welcoming Edwardian home. The gallery truly believes art should be for all, and seeks to be a friendly, inclusive and affordable destination. 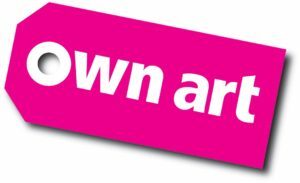 We are also delighted to be members of the Own Art interest free loan scheme, a fabulous way to make art more accessible. Please enquire in the gallery for further details. We look forward to warmly welcoming you. Please Note: The work on the following artists’ pages is a reflection of the work which we hold. Please contact the gallery if you are interested in a particular piece or artist, to confirm what we currently have available. We often have more!